37. פָּתַח וְאָמַר, (איוב לח) וְיִמָּנַע מֵרְשָׁעִים אוֹרָם וּזְרוֹעַ רָמָה תִּשָּׁבֵר. הַפָּסוּק הַזֶּה הֱקִימוּהוּ, אֲבָל וְיִמָּנַע מֵרְשָׁעִים אוֹרָם – זֶה נִמְרוֹד וּבְנֵי דוֹרוֹ שֶׁיָּצָא אַבְרָהָם מֵהֶם, שֶׁהָיָה אוֹרָם. וּזְרוֹעַ רָמָה תִּשָּׁבֵר – זֶה נִמְרוֹד. Rabbi Elazar raises the question: why God said to Abram “Lech lecha”, ‘go for yourself ’ in a singular form when his father, Terah, also left his homeland with Abram. It looks like Terah did teshuvah (repentance) and had the merit to be included with Abram’s promises (See previous study). Rabbi Shimon answers his son telling him that Terah left his homeland to save his skin from his country people. After Abram was saved from the furnace king Nimrod threw him in (read the story here: http://dailyzohar.com/daily-zohar-1655/ ), the people blamed Terah for leading them falsely with his idols. They wanted to kill him and Terah had no other choice but to flee. The fact that Terah stayed in Haran, leaving his sons Abram and Lot to continue to the Promised Land, showed that he was only thinking about himself. The Zohar reveals that ‘the wicked’ is Nimrod, the king of Ur and his generation. The ‘withheld light’ is Abraham who was a channel of Light to the people. God sent Abraham away, disconnecting all his ties to the place and the people. They didn’t deserve to have such a great soul living among them. ‘Raised arm will be broken’ refers to those who trust and rely on their physical force. Also to those who use their authority on people like king Nimrod who was known to break all his enemies. We learned from this study that we must have a proper consciousness with the actions we do in order to earn the Light and benefit from it. Another important lesson is that we cannot rely on physical force or material wealth. Everything in existence is held in its place by the force of the Light. When the wicked push away the Light they lose the force that gives their wealth existence. That is the aspect of ‘raised arm will be broken’. When the people don’t deserve it, God takes away the righteous ones from among the people. 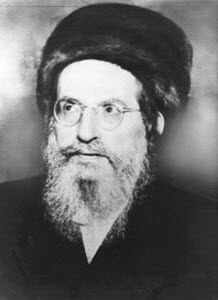 Many great tzadikim left the world in recent years, leaving their communities with big holes to fill and long corrections process. People must have responsibility for their actions when the big Light that was around them is now gone. When the people don’t do the work or seeking righteousness the chaos in the world grows like we see nowadays. The Zohar is our connection to Rabbi Shimon, who is the greatest of all Tzadikim. The Daily Zohar provides tools for all people to connect spiritually, cleanse their souls, and become righteous. The Daily Zohar study, the Unity Zohar, and the Tzadikim list are at the top of the list. The Tzadikim site and app are great tools to connect to Tzadikim on their death anniversary, Hillula dates, and support us. Use and support the DZ projects. Share them with your friends and family. Make donations and if you are regular Daily Zohar students, share your tithe with us. Your support is very important for making progress and develop more great projects free for all. Safe and secure via PayPal.